We all know the many benefits of music to the body, from reducing high blood pressure to perking up your mood. Needless to say, listening to music while working out is as essential as using an exercise equipment; it motivates you to stay fit. If you are looking for the best MP3 player for working out; make sure that you know what you’re looking for in a device. This list of MP3 Players can lead you to the right direction. Who Benefits From MP3 Players? The AGPtEK M20S 8GB Mini MP3 Player has excellent sound quality that will not distort even when you’re on the go. It is lightweight and is only 3 x 0.3 x 1.2 inches in size. Its amazing battery life can last up to 14 hours of audio playback with only 2 full hours of charge. The best feature this device has that most people like is its “old-school” FM/Radio recording. One reviewer said he can simply press the record button while listening to the radio and it gives him additional songs to play on his device. 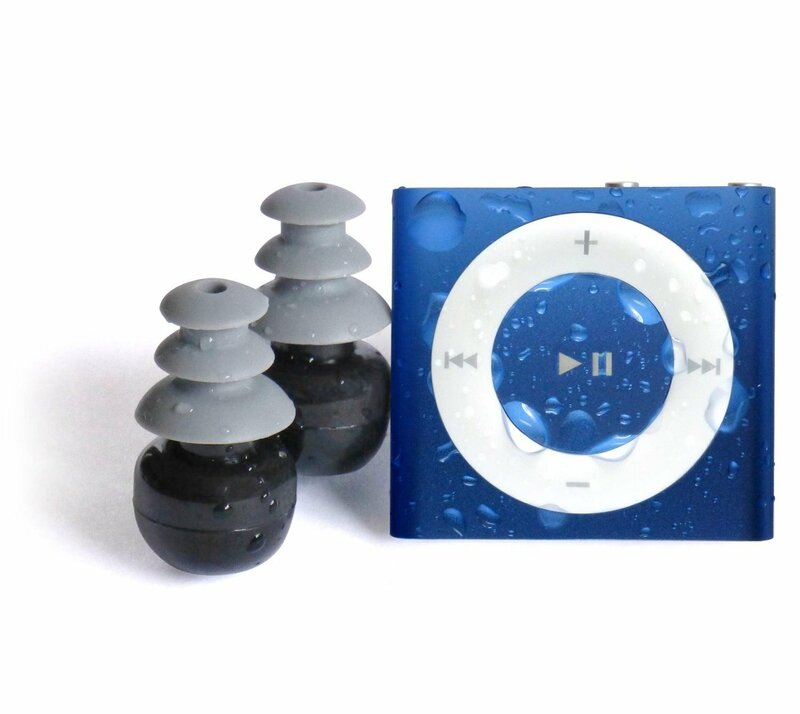 If you’re into water sports then you might want to consider the Royal Blue Underwater Audio Waterproof iPod Shuffle. This device plays audio books and up to 500 songs. Its exterior design also comes in different colors. And just like other iPod shuffles, the built-in clip and the size of 1.9 x 1.9 x 1.6 inches makes it easy to carry around. It is definitely water tight and very durable. In fact, this device is being used by many professionals and iPod enthusiasts. The battery life of this device is also incredible since it can run up to 15 hours of audio playback. According to one customer, he’s used this device 5 times in a week and never experienced any type of malfunction. Another device worth mentioning is the Apple iPod Nano 16 GB Graphite. 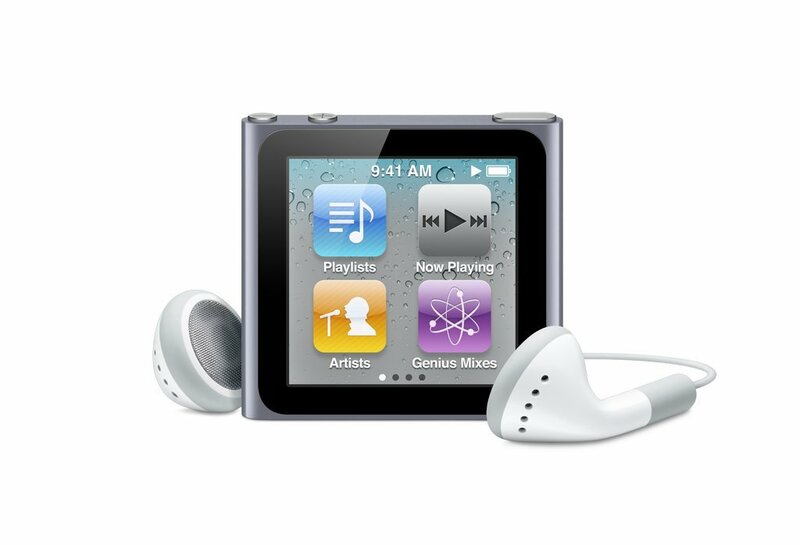 The storage capacity on this device is not the only outstanding feature of the Apple iPod Nano; it also has a sleek design and a 1.54 inch color TFT display with 240-by-240 resolution. This small device can store up to 4,000 songs and can even play different file formats. People who have been using this device think that this is perfect for working out since it can be attached to your clothes. It even has a built-in pedometer which tracks your movement while working out. 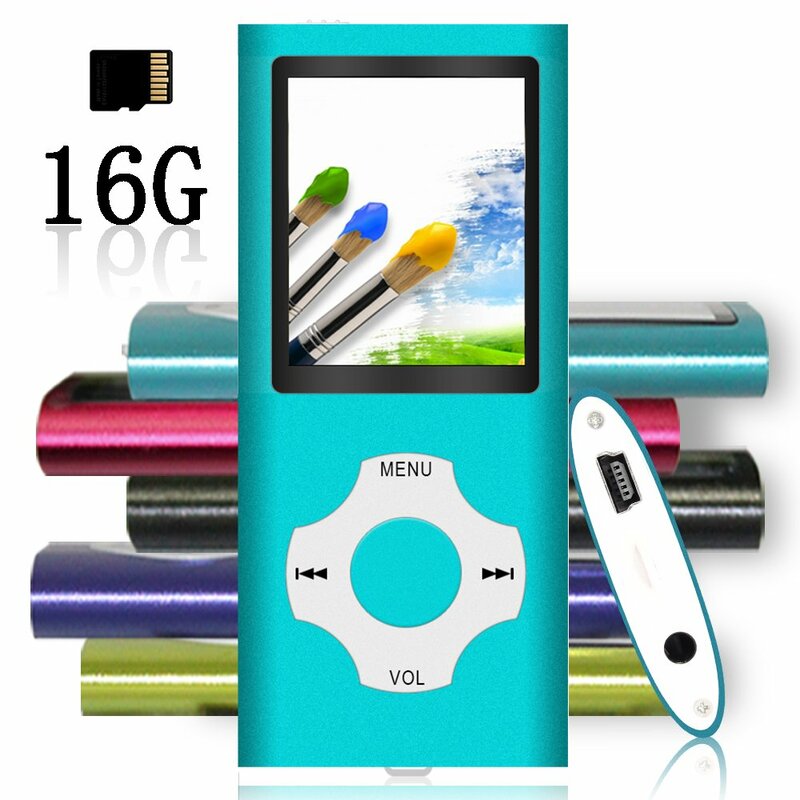 The next device on this list is the G.G.Martinsen Mini Usb Port Slim 1.78 LCD MP3/MP4 16 GB Portable (Blue 5). This device is not just another MP3 Player. It stores and plays several file formats, even videos. 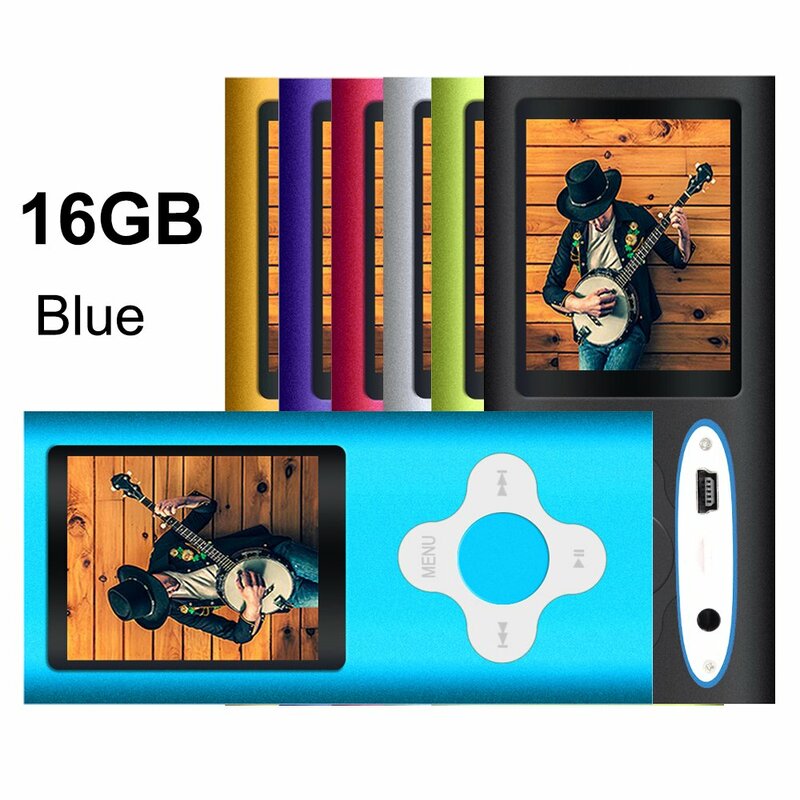 Because of its 1.78 inches high resolution LCD screen you can take not only your music with you but also your favorite videos and movies. It also has expandable memory of up to 64GB and can fit up to 6000 songs. The thing that most customers like about the device is it is lightweight or compact, sweat proof and user friendly. It even has the capacity to be set to your preferred language. 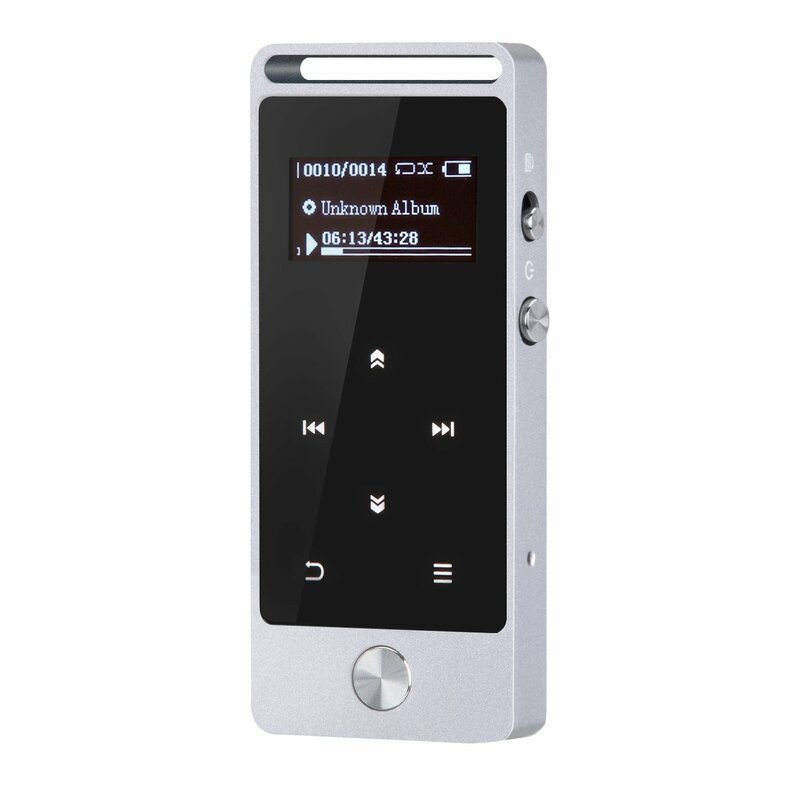 Last but not the least, Tomameri - Digital, Compact and Portable MP3 / MP4 Player is also one of our top choices. Aside from its expandable memory; it’s pretty easy to use. And just like most of the devices mentioned, it has a great battery life which can even last for days on idle mode. The thing which makes this device stand out from the rest is its “plug-and-play” feature. You can copy songs directly from your computer by connecting it through a USB cable- it’s as simple as that. While the other devices needed iTunes, or Mac/PC requirements, Tomameri MP3 is pretty low key. Its reasonable price plus extended battery life are just two things that most users like about this product. If you are the type of person who wants both quality and quantity (#of songs), then this MP3 player might be right for you. The device's lossless sound quality ensures flawless, uninterrupted experience. Aside from its 8GB built-in storage; it's also expandable up to 64GB. And it only takes about 2 full hours for you to charge it but assures you of 14 hours of audio playback. In addition, if you like recording songs directly from the radio, then this device is pretty useful. Simply turn on the record button on your device and it will record songs you like. It’s an additional feature you won’t see anywhere; kind of old-school but still very useful. The AGPtEK M20s is not simply a device for the ears; you can also store eBooks and files on this device. It also has a lock screen feature to make sure that you won’t accidentally press buttons thereby changing the songs. And because of its multi-function feature, you can navigate through the order options while playing music. This elegant device can be a good choice for people who are into water sports. And it is considered the highest rating product even for athletes. The exterior is sturdy and is protected against water infusion. As for its features, it can play up to 2GB worth of songs and other audio files. One stand out feature of this iPod shuffle is its battery life that most users really like. It can last up to 15 hours of audio playback. Out of the many reviews this product received, we can say that the best thing about this device is its durability. It is depth-tested (200 feet) and can last a long time under water without the battery dying out. Its size of 6.9 x 3 x 9.7 inches makes it ideal for outdoor, indoor and underwater workout. Simply clip it on your jacket, swimsuits, swim caps or googles and you’re ready to go. Stylish and handy – these are the words which best describe the Apple iPod Nano 16GB Graphite. This device supports MP3, MP3 VBR, Audible, Apple lossless, WAV and other audio formats available. In addition, its 16GB storage capacity lets you store up to 4000 songs. According to one review, it has standout aluminum finish and sleek design making it easy on the eyes as well as an easy device to use. Restructured for both music as well as multi-touch; it comes with a 1.54-inch color TFT display with 240-by-240 pixel resolution. Its revolutionary design might just make your workout better than ever. Like any Apple shuffle, this too has a built-in clip that allows you to attach it on your clothes. Plus it is also built with a pedometer to help you keep track of your motion while you exercise. One of our favorite in this device is it’s “Shake” feature; by simply giving the Nano a shake, you can already change to a different song. If you are looking for a simple yet pretty useful device, then the GG Martinsen MP3/MP4 player might be what you’re looking for. Its countless features start from playing music to reading documents. It has an internal storage capacity of 16GB and can be upgraded up to 64GB. As for the battery life; it has a maximum of 6 hours of audio playback. It also comes with a 1.78 inches high resolution LCD screen which makes it ideal for watching videos or movies. Included in its packaging is a USB cable which you can use to attach to computers for file transferring. A particular feature that a lot of users like is the multi-language system which users can change to their preferred language. If you are looking for a device which works well with any PC, then Tomameri Portable MP3 might just be your kind of MP3 Player. It comes with earphones and a USB cable. And has features such as music, video, sound and voice recording, radio, photos and text files. It also has great sound quality. And if you want to store music to this device, you can simply copy-paste your playlist from your computer. It also has an expandable memory of up to 32GB. In addition, it can also store photos, has a Dictaphone or a voice recording function and E-book function. Looking for a device that suits your needs is not as easy. There are a lot of things to consider before buying one. And just like anything else that has value, an MP3 player should not just be any device. It should pass certain categories to help you come up with the best one. It must have long-lasting battery life. It must be easy to navigate through features or user-friendly. It is compatible with other devices such as desktop computers. It has incredible sound (and picture) quality. It must be easy to carry. Anyone who is interested in carrying with them their files especially music will surely benefit from owning a MP3 player. The fact that you can carry your music anywhere with you is convenient. For people who work out, having a portable device they can take with them to the gym or to the park is extremely important. It was mentioned earlier that music helps encourage you to work out. Of course, listening to music can boost your morale and keep you going. This is especially encouraging for people who are trying to lose weight or simply those who want to stay healthy. Most devices come with a manual; it is extremely important to read the enclosed booklets or sheets on how to use your device. Make sure that you only purchase from reliable merchants. Carefully inspect the package which the device is stored. If it is damaged, there’s a possibility that your device is affected as well. Always keep in mind that the device’s life depends on how you use it. Always secure a warranty for your device. In this review, we think that Apple iPod Nano 16 GB Graphite is the best MP3 Player for working out. Aside from the fact that it is from a trusted brand; it is indeed a real classic. You literally get what you paid for. We like the fact that this device is just as stylish as it is durable. With its right size and built-in clip it’s a great device while you work out. The huge storage capacity, the “shake” feature and the built-in pedometer makes this device a unique but a perfect workout companion. It is not simply a device to entertain but one that will see you through your workout regimen.